As with many fixtures this season, it was indeed Zlatan Ibrahimovic who had the final say in what was an extremely entertaining League Cup final – which Manchester United won 3-2. United led two nil, through goals by Ibrahimovic and Jesse Linagrd going into half time, before Manolo Gabbiadini scored a vital goal to get Southampton back in the tie. The Italian was extremely unlucky to have a goal incorrectly ruled out prior to United’s opener and expertly finished through the legs of David De Gea. He was on target again just after half time with a quality unsighted left footed finish past the helpless Spaniard. United looked vulnerable at the back and Oriel Romeu hit the woodwork late on, just before Ibrahimovic scored the winner. The Swede headed home past the Fraser Forster following an excellent cross by Ander Herrera, who was possibly about to be substituted. Ibrahimovic notched up his 26th goal of the season and was voted man of the match for his performance. If history is a anything to go by, the League Cup has been the catalyst that has given United a springboard to go on and win even more trophies and Jose Mourinho will be hoping to add to his bulging trophy haul this season and beyond. If this is indeed the catalyst that gives this group of players the confidence to push on to even greater things, then it may not have happened at all. United were heavy favourites going into the match, but their opponents were exceptional throughout and were indeed unlucky to lose the game. Nathan Redmond was lively, whilst Gabbiadini should have had a hattrick but the officials made a horrendous call to disallow his opening goal. Cédric, who caused United lots of problems down the left hand side, whipped in a superb low cross having won a 50/50 duel with Marcos Rojo, who was well below par and should have done much better with the challenge, which was converted by the Italian – only to be ruled out for offside. Ryan Bertrand, who also caused problems down the right hand side for right back Antonio Valencia, ran into an offside position – however, Gabbiadini had timed his run perfectly before tapping home what he thought was the opener. Claude Puel was incensed that his side were denied the opener and his anger was fully justified. United had to wait eight minutes later to score the opener with Ibrahimovic netting yet another goal in a cup final. United’s number nine has now scored six goals in his previous five domestic cup appearances with his smart freekick that beat Forster in Southampton’s goal far too easy. As he had done against Leicester City back in August, the Swede found the back of the net at Wembley and like he had done six months ago, he also netted the winner. Ibrahimovic has been a colossal signing for Manchester United since his move from PSG and continues to be the club’s talisman who is constantly making the difference in key games. Mourinho agrees and felt the his summer signing was “outstanding” and won the game for his side. The Portuguese will be hoping that days like this will convince the club’s top scorer to stay on for another season. United’s 2006 League Cup win against Wigan Athletic was indeed the springboard that enabled the likes of Wayne Rooney, Cristiano Ronaldo (who had also won the FA Cup in 2004) and Patrice Evra, as a group, to go on and win even more trophies as Sir Alex Ferguson’s side began to click after a couple of seasons playing catch up to Arsenal and Mourinho’s Chelsea. The club would go onto win three league titles in a row and lift the European Cup in between. The current United boss is now joint the most successful manager to lift the League Cup with Ferguson and Brian Clough on four. 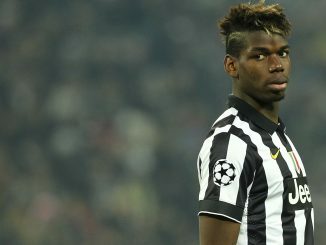 He will know that even greater riches lie ahead if he can continue to develop this crop of players and potentially add even more top talent, such as Antoine Griezmann from Atletico Madrid, in his quest for United’s 21st league title. 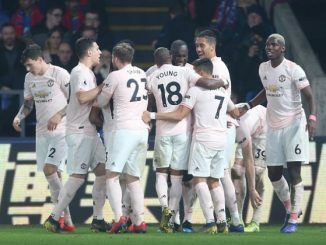 United were below par against a Southampton side that deserved more from the match, however – the likes of Marcus Rashford, Anthony Martial and Jesse Lingard can now add another domestic cup win to the FA Cup win from last season. United have won the League Cup five times in the club’s history and Mourinho becomes the first United manager to win a major trophy in his first full season at the club. Surely, this will not be his last. 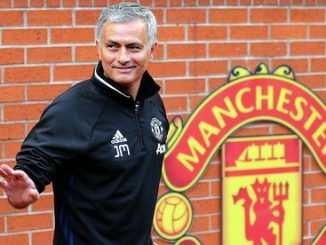 Jose Mourinho Extends Contract With Manchester United: What Are His Top 5 Moments Since Taking Over?